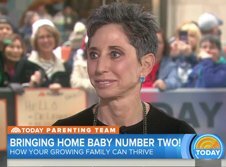 With over 40 years of experience working with parents and children, in education, and a best selling book to boot, it is no surprise that child development and behavioral specialist, Betsy Brown Braun, has developed some favorite expressions when talking to parents about parenting and their kids. Below you will find a list of the expressions and phrases that Betsy is known for using in her parenting groups, seminars, presentations, and consultations. You are who you are when not one is looking. What goes in their ears goes out their mouths. There is no mirror that shows your reflection quite as accurately as your children. What you ignore, you permit. You are only as happy as your least happy child. The surest way to make life hard for your child is to make it too easy. Children are the only ones who can grow their brains. Children do not get better if they are not uncomfortable. The best time to start talking to your child about money is when he will no longer eat it. One yes will sustain your child through a thousand no’s. You choose the behavior, you choose the consequence. Do I look like the kind of mommy who is going to change her mind?